Controller RAID Intel® RS2BL040 Raid Controller, Quick Start User Guide, 1 standard & 1 Low Profile bracket. One SAS Cable is included. 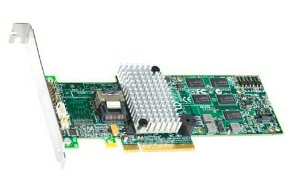 Controller RAID Intel® RS2BL040 Entry-level 6G SAS RAID controller with 4 internal ports for SAS/SATA drives. Retail SKU includes cable.